Participating in VALOR is no small task. It takes time and dedication from the fellow, their family, colleagues, and employees. In mid-May myself and the Class II of VALOR spent five days in Northern Virginia and Washington DC. I did all I could at home on the farm to make sure my absence would leave as little strain as possible on my family and the employees. I dried off cows that were close to the end of their lactation, made a list of cows for the hoof trimmer who was coming the day after I would get back, and talked with the part time help about what all they would need to do extra. To add to the situation, my dad had his foot in one of those cute hospital boots and my brother was trying to get the corn planted. When the class meet up for the first day, I realized I wasn’t alone. Everyone’s life is busy. 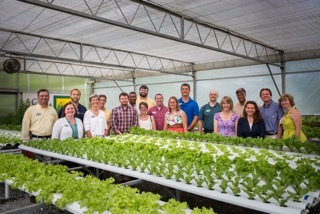 One of our first stops of the seminar was to Endless Summer Harvest, a family owned hydroponic greens operation. Mary Ellen Taylor runs the show and you will not meet a more enthusiastic and passionate lettuce lady anywhere! We toured the greenhouses and ended the day with a salad more flavorful than I thought was possible. We learned about Mary Ellen’s workforce which she was very proud of. Many of her employees happen to be mothers that can take advantage of the flexible schedule and family atmosphere at Endless Summer Harvest. In turn, Mary Ellen feels like she is helping by employing people who couldn’t work a regular 8-5 job. Here we have come full circle on the topic of working together to accomplish a greater goal. It happens everyday all around us. No matter how independent and self sufficient we think we are, we need each other. We witness this in government, organizations, businesses and even in families. 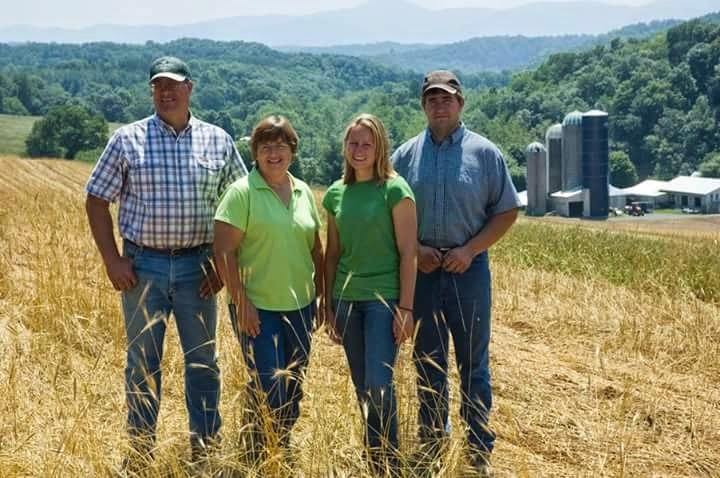 Thank you to my family and the employees at our farm for allowing me to experience VALOR, Virginia agriculture, and soon agriculture on the international level. Previous postWho speaks for me? !